Shortly after I graduated college my mom compiled a binder filled with recipes that were the sort of things you would always love to eat at a mom’s house and should always know how to make; apple pie, quiche, perfect salad dressing, cakes for holidays, and banana bread. Banana bread feels like home. It is warm, it’s comforting, it’s not so bad for you that you can’t eat it all day long – which I ultimately did. After a whirlwind week of doctors appointments and hospital stays, more on that at another time, I just wanted to be back in our home. All I could think to do was clean, do laundry and bake. I’ll spare you the pictures of me sweeping and folding towels. I took my mom’s already really terrific banana bread recipe and upped the ante in the “good for you” category, without losing points in the “good tasting” category. As a tip the banana shown above are not the ones I used. 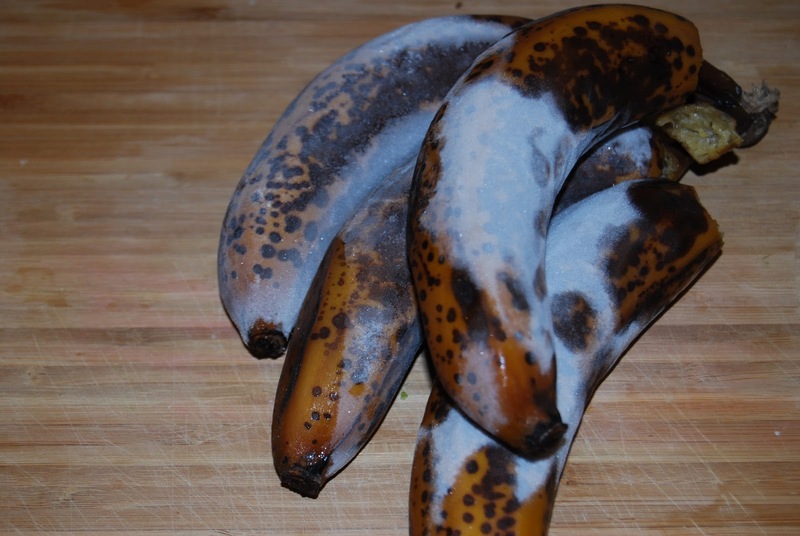 For a really good banana bread you want the bananas that look really bad: covered in spots, mushy and overly ripe. 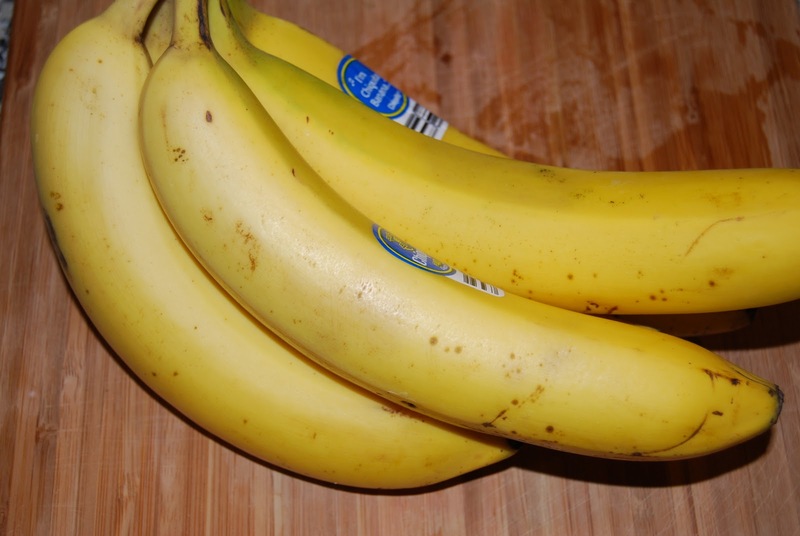 If you want to fastforward the ripening process you can keep the bananas in the freezer, and then take them out about an hour before baking time to defrost, like so. 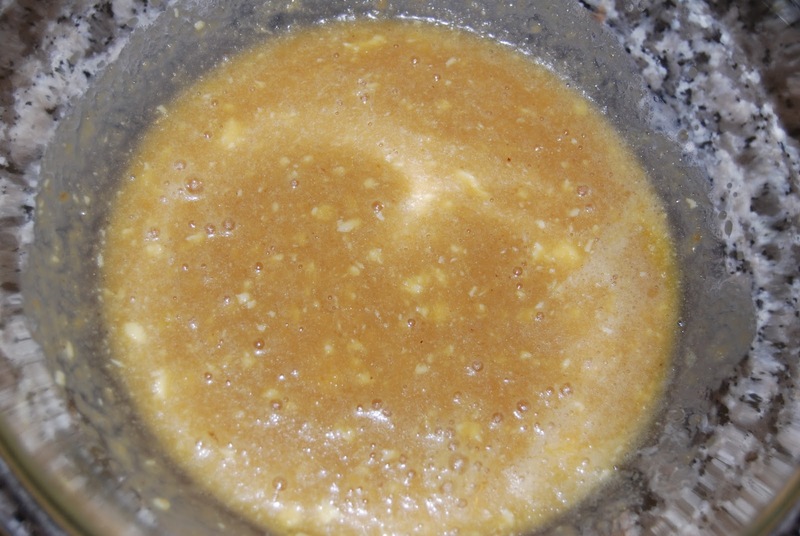 First melt the butter and let it cool and then add the sugar, eggs, vanilla and apple sauce. When you mix it up it will look like nothing very exciting. Don’t lose hope. Then add in those super ripe, but full of flavor bananas and the yogurt. 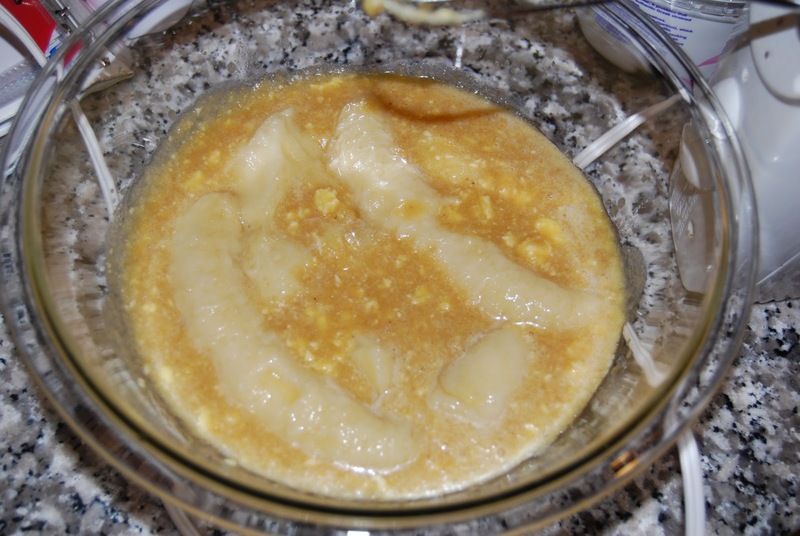 I know, now it just looks like banana baby food. Believe in the banana bread! I promise! 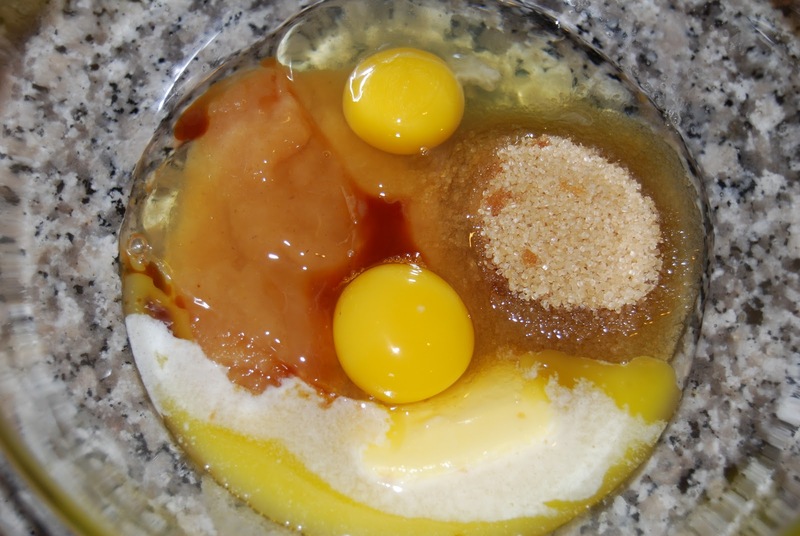 Time to add the dry ingredients. A bunch of scoopfuls. 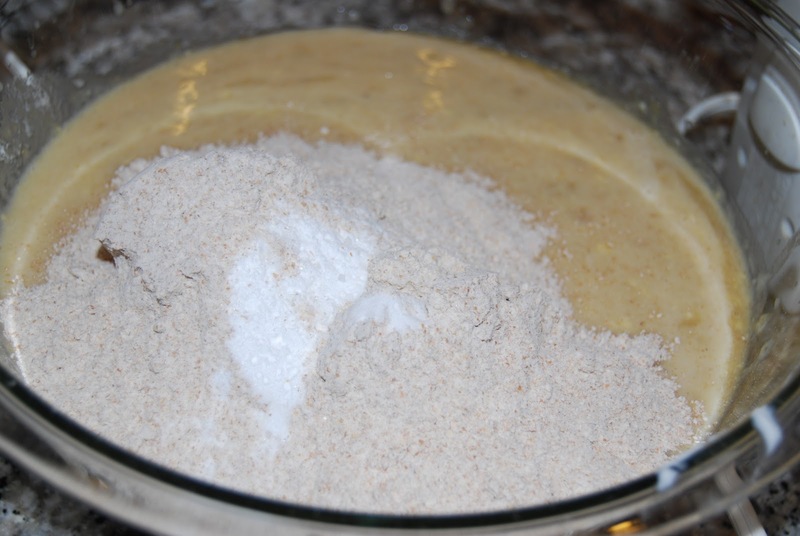 Here’s a secret, whenever I make a bread or cake I pour a little extra batter in some muffin tins also. Maybe this is to taste test to make sure the recipe worked, but maybe it’s also to have a great treat in less time then in takes to bake a whole cake, you be the judge. 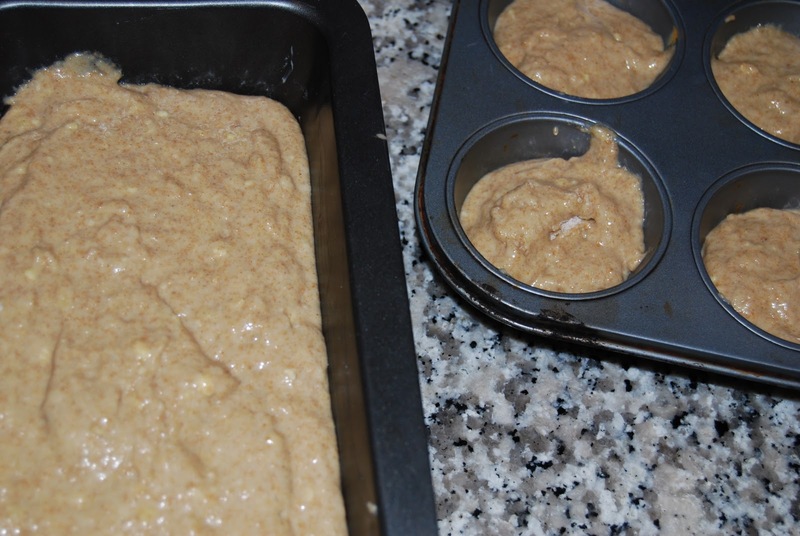 After an hour in the oven, always test with a toothpick, your banana bread should be done. Let it cool, if you can, before removing it from the pan. If the temptation is too great, that’s what those little muffins were for! 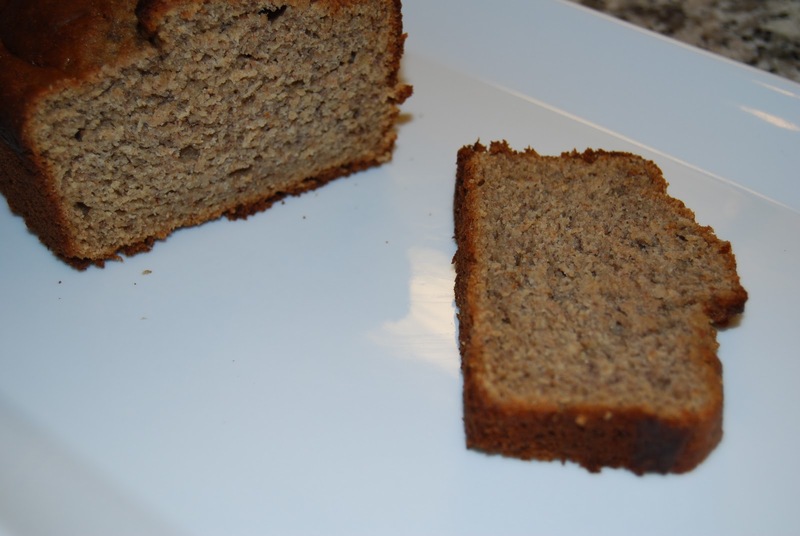 I loved this banana bread, it would be great with nuts or chocolate chips added in or smeared with some peanut butter or cream cheese. But in this case, it tasted like home and that is all I was craving. 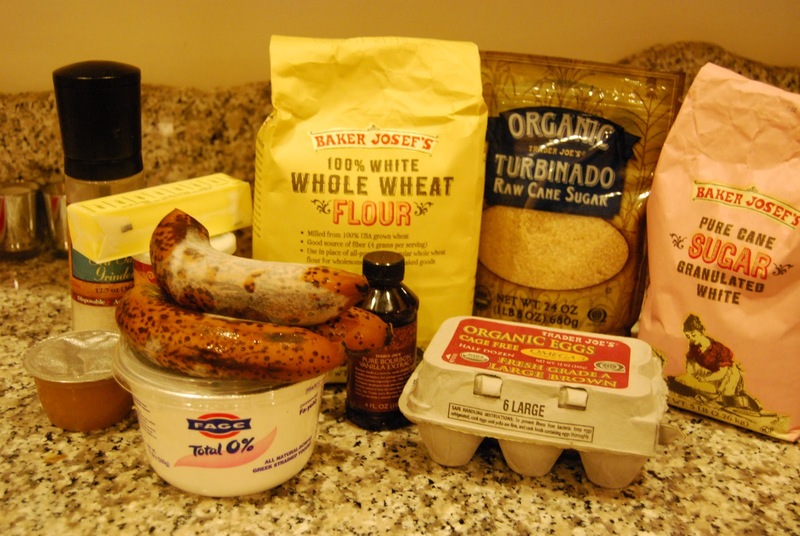 This entry was posted in Baking, Breakfast/Brunch, Comfort Food, Dessert, healthy, Her Kitchen and tagged Baking, banana bread, healthy baked goods, healthy dessert, healthy sweets, quick breads. Bookmark the permalink.